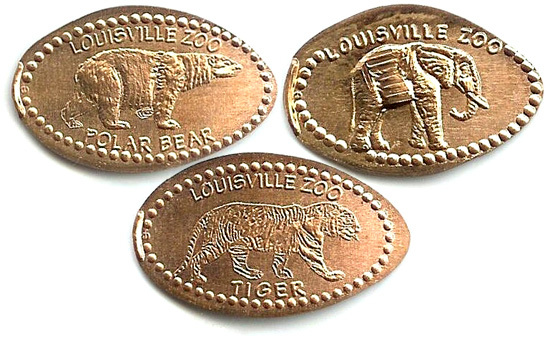 Founded in 1969, the Louisville Zoo, or the Louisville Zoological Garden, is a 134-acre zoo situated in the city s Poplar Level neighborhood. The "State Zoo of Kentucky" currently exhibits over 1,700 animals in naturalistic and mixed animal settings representing both geographical areas and biomes or habitats. (H) Polar Bear; (H) Elephant; (H) Tiger. (H) Cheetah; (V) Gorilla; (H) Pygmy Hippo. (V) Giraffe Head; (H) Rhino; (V) Lion Head. (V) Gorilla Head; (H) Tarantula; (V) Snake.